We love desi food and it's no surprise that most of our celebs do too! We bumped into few interesting campaigns on instagram, and came across #7upFoodies! The campaign is stirring debates on social media and we think we're all geared to see what will happen next. We have to admit Pakistani food comes with a great lot of choices but the real struggle lies in deciding what to eat with what? 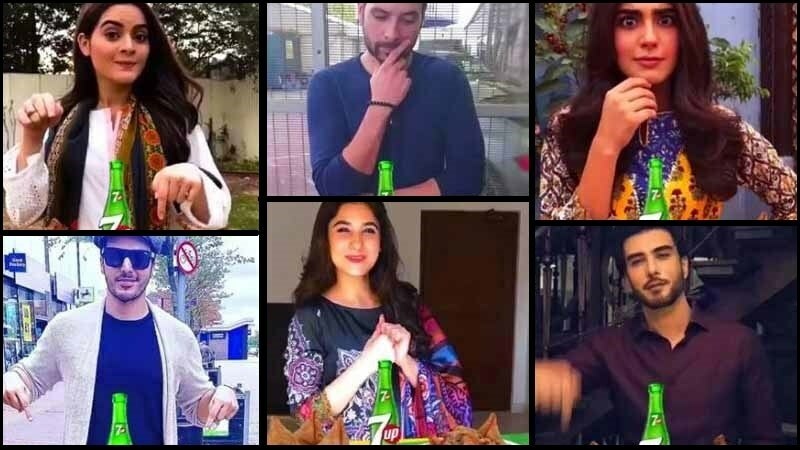 The great foodie debate began on social media just when 7up launched some teasers of their upcoming campaign. Mikaal Zulfiqar is asking the mighty biryani question: with aaloo or without? We think nobody does boomerangs better than Anoushay Ashraf! Why is Uzair Jaswal pointing fingers.....at biryani? Minal Khan looks gorgeous in her biryani boomerang! These celebs seem to be asking their fans to help them decide what to snack on, and the internet has answers already. Follow the hashtag #7upFoodies for updates. This content is produced in paid partnership with 7Up Pakistan and is not associated with or necessarily reflective of the views of Images and Dawn.com. what a stupid ad!. If someone likes something then why should they ask others to decide ?! ?